We value the saving work of Christ on the cross. We value the person and work of the Holy Spirit. 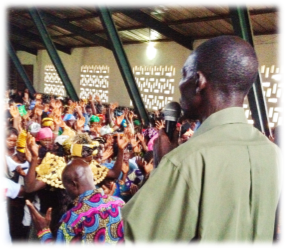 We value the African church as a full participant in God’s redemptive mission. We value a biblically based, Spirit-empowered missionary strategy. We value the baptism in the Holy Spirit as an empowering experience for witness. We value prayer as foundational for Pentecostal revival and essential for mobilizing the church in mission.